Somerset is a county that has it all. Ranked seventh in the UK for size with vast expanses of open, unspoilt spaces waiting to be explored. Join award winning author and photographer, Ian Brodie, on a journey of discovery through the history and heritage of the county. Uncover the stunning variety of scenery: compare the bleak majesty of the Mendip Hills with the ever-changing vistas of Exmoor, the soft folds of the southern hills, the rich green flatness of the Levels, the great expanses of sand beaches with their popular resort towns and the rocky headlands at either end of the Somerset shoreline. Discover noble ‘wool’ churches, with their imposing towers and contrast them to the dignity of Georgian Bath, the medieval quaintness of Wells or bustling market towns like Taunton, Yeovil and Frome. 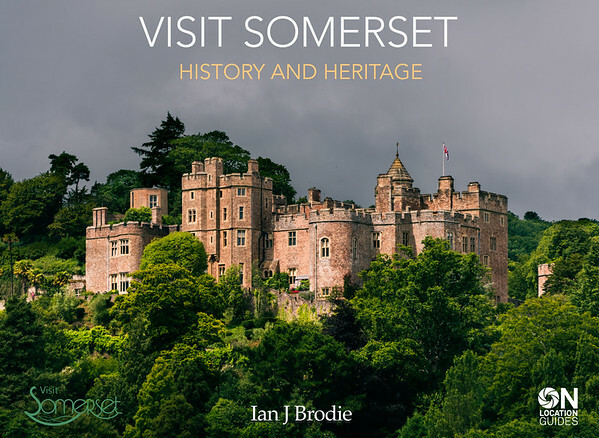 Published by Visit Somerset, the official Destination Management Organisation for Somerset, this ebook showcases more than 200 sensational places to visit. It includes in-depth touring information, handy hints, maps, enhanced ebook features and over 750 stunning images. Read it online here or downloaded it free of charge for Apple IOS or Android.